Claude Puel says he doesn't want Leicester to use the death of Vichai Srivaddhanaprabha as a reason to "manipulate the emotion" and galvanise the team. Leicester will play Cardiff on Saturday in their first game since the club's owner was one of five people to lose their lives in a helicopter crash outside the King Power Stadium last weekend. I don't want to manipulate the emotion to play football. 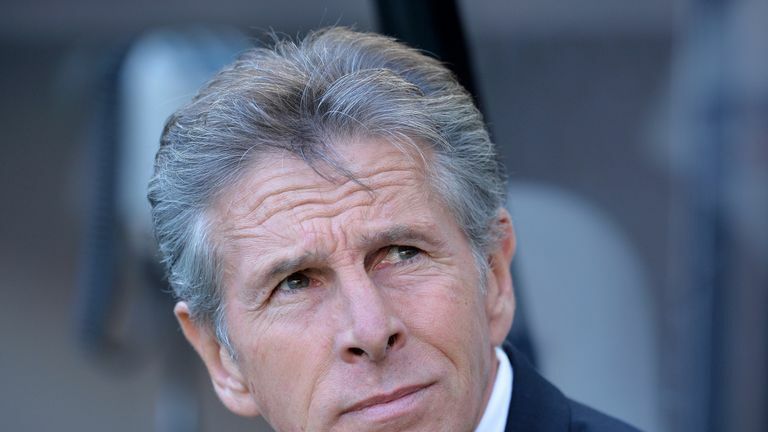 "I don't want to use this event to find solidarity, to win games and use the difficult moment just for football," Puel said. "I don't want to manipulate the emotion to play football. I just want us to have the capacity to give our best and to honour the chairman, remember what he brought for everyone in the club and the fans. "After we are professional, we want to move on and compete." Puel revealed the squad had decided to go ahead with the Cardiff fixture as a group and has left the final decision over whether they play in their hands, but believes the players want to return to on-field matters. Jamie Vardy, who joined the club in 2012, has helped lead the tributes during the week, while long-serving goalkeeper Kasper Schmeichel witnessed last Saturday's helicopter tragedy. Jamie Vardy says this has been the most difficult week of his life following the death of Leicester owner Vichai Srivaddhanaprabha. "Jamie [Vardy] and some other players knew the chairman for six to seven years," added Puel. "They have known a lot of difficulties on the pitch, their fantastic journey with the staff. "The players are ready, fit to compete but after it will be important to find a good balance between emotion and concentration. "We will discuss with any player to know their feeling and take the right decision in this moment."